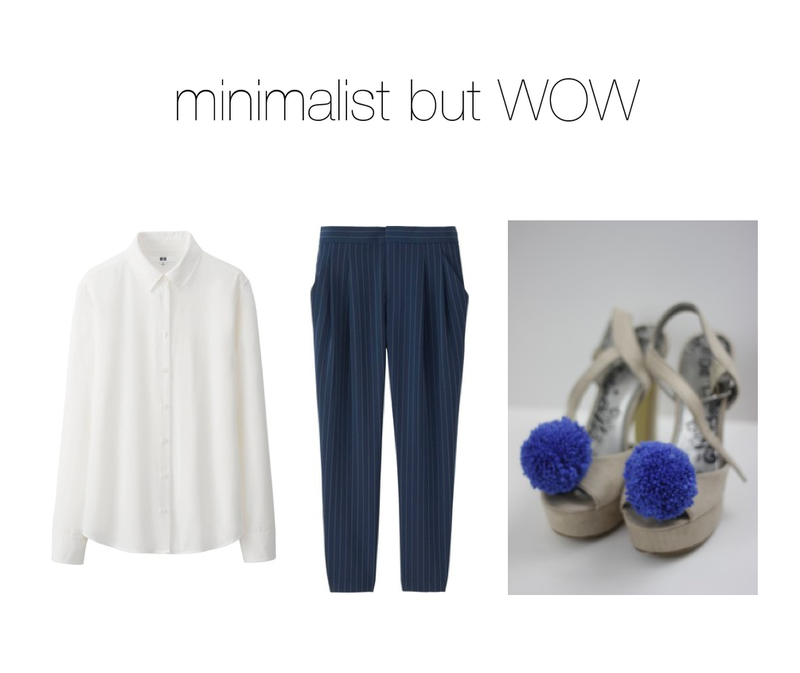 yes, minimalist but WOW is the motto when wearing these awesome new DIY pom pom platforms. pairing a simple navy sweater and pants with a silk hairband and beige sunglasses makes this look a more casual one. (eventhough those platforms are not really convenient for my daily business) anyway, perfect for a day where you dont have to walk a lot. I had so much fun making these pom poms and I ended up having three pairs of new shoes. >> more here!